A wedding cake with a difference! A vanilla cake covered in a galaxy style icing, with sparkling stars. 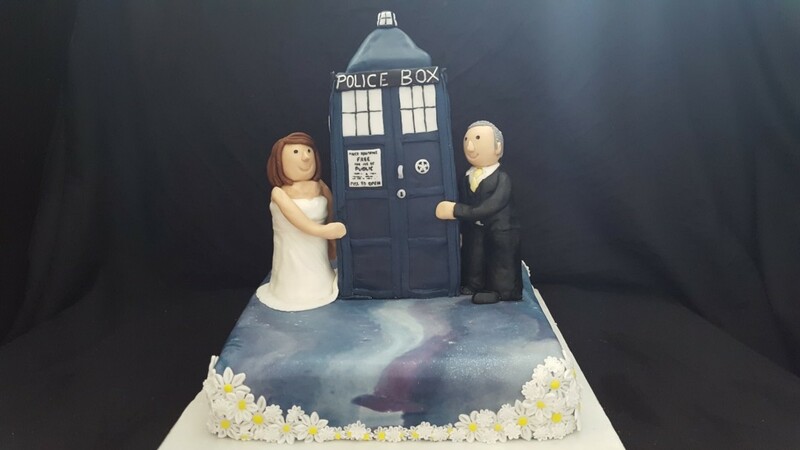 Decorated with flowers around the edges and topped with a chocolate cake TARDIS, and the happy couple as edible cake toppers in their wedding outfits.